Variety reports a Secret Six television series from DC Comics is currently in the works at CBS. The television network is set to take another stab at superhero television having launched Supergirl in 2015 before the show moved to The CW. CBS has given the Secret Six series a production commitment for a pilot. 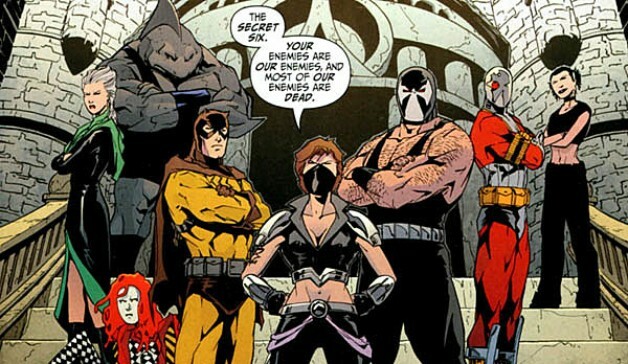 Per the trade, Secret Six is set to follow six morally ambiguous strangers, each with their own unique specialties and secret pasts. They are brought together by an enigmatic figure who blackmails them into working as a team to expose the corruption of the corporate and political elite. Rick Muirragui will write the series and serve as executive producer along with Bill Lawrence and Jeff Ingold who will executive produce through Doozer Productions under Warner Bros. Television. In the comics, the Secret Six was a group of covert operatives made up of supervillains such as Lex Luthor Bane, Harley Quinn, the Penguin, and the Mad Hatter, who would go up against other super criminals under the leadership of a mysterious figure. It remains unclear as to which DC characters the series will feature. Stay tuned to Heroic Hollywood for the latest news on the Secret Six series at CBS as we learn it. Why isn’t DC putting this out on DC Universe?